Our Earth is the only planet in the Universe that is known to have life on it. This mere fact makes our planet so unique, but what makes it even better is the different types of life forms present here. As such, all living things are beautiful, but some are just more gorgeous to look at as compared to others. I think everyone would agree that flowers are definitely one such group. Seriously, almost all human beings love flowers, their vibrant colors and soothing fragrances and all of us love to know about the rarest flowers in the world. Flowers are simply symbols of beauty and a bundle of care and warm wishes.There are almost 2,70,000 types of flowers found on Earth, all in different sizes and a wide range of colors. But, among them, there are certain kinds that are quite amusing and rare in terms of the locations they exist in and the duration during which they bloom. Jade wine tops the list of rarest flowers in the world. As the name suggests, this gorgeous flower exists in a color range of emerald to turquoise. Its scientific name is Strongylodon Macrobotrys and is found only in the Philippian rainforests. It depends mainly on bats and birds to get pollinated and depicts luminous features at night. Unfortunately, Jade Wine flower is endangered because of habitat problems and inappropriate environments. 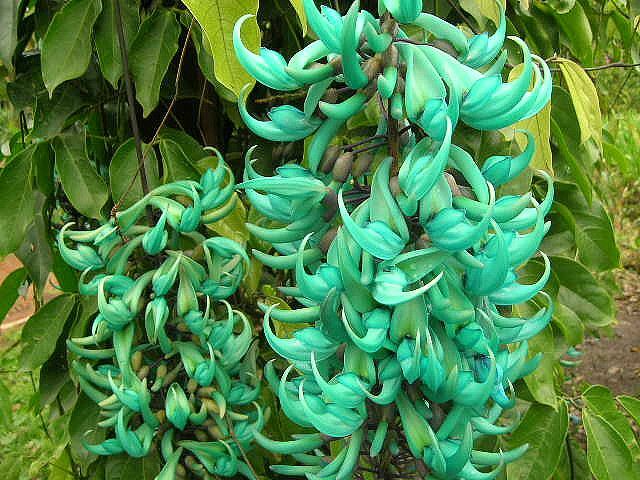 The Jade Vine, which is also locally called ‘tayabak’, is claw-shaped and can grow up to a size of 3 meters. This flower (Amorphophallus Titanum), is the largest flower on the planet, reaching up to heights of 10 feet. It is quite rare and one of the most interesting flowers, native to the low-lying rainforests in Indonesia. Also, the flower blooms only once in 3 or 4 decades, but whenever it does, this flower emits a smell just like that of rotten meat. Hence it has been named as ‘Corpse Flower’ because it smells just like a corpse and as a result it ranks no.2 in the list of rarest flowers in the world. It emits distinctive odour in order to attract insects and flies for pollination. Another, plant that is quite huge and given the same name of corpse flower for this exact reason, is Rafflesia Arnoldii. Mostly known for its eerie shape, the Ghost Orchid is an extremely rare and wonderful flower with green stem, green flower, and no leaves. They are very choosy about where they grow and require high temperatures along with high humidity. Thus, they are only found in Cuba, Florida and some parts of the Bahamas. Also, it requires a great deal of luck to see this flower in its full bloom as its flowering time is almost unpredictable. This orchid was discovered in 1844, by a plant collector Jean Jules Linden. 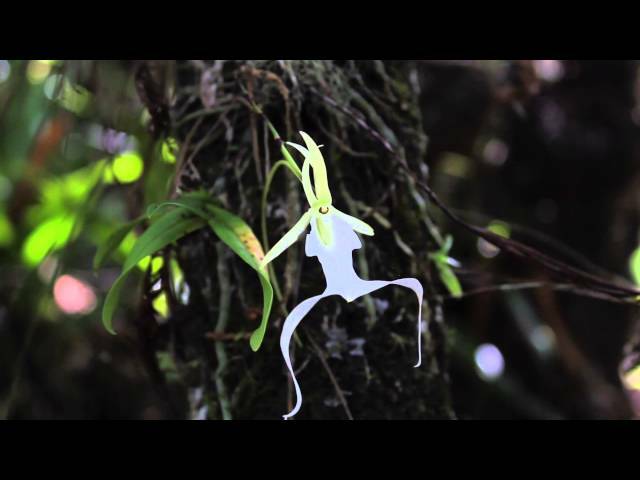 The Ghost orchid is also known as ‘white frog orchid’ owing to its shape. The second last in the list of rarest flowers in the world is Chocolate cosmos. It is one of the most beautiful flowers in the world but it is sadly extinct now and only exists as a result of a technique called vegetative propagation. The Chocolate Cosmos gets its name from the chocolate flavored scent it emits, which becomes more prominent during the summers. It is dark red or brownish in color (similar to that of chocolate) and can grow from 40-60 cm in height. Last but not the least in the list of rarest flowers in the world, The Black Bat Flower is a stunningly beautiful flower in the yam family Dioscoreaceae with black petals and black whiskers. The flower actually has a shape similar to that of bats, hence the name Black Bat Flower. Its whiskers are quite long, growing up to 28 inches in length. The flower is seen in Southasian regions like China, Thailand, and Malaysia and requires a lot of shade. Apart from this, they also need good quality soil along with loads of water. Its biological name is Tacca Chantrieri.